Phuket is Thailand’s largest island, situated at the country’s southern tip, along the Andaman Sea. Previously a major trading route between China and India, Phuket’s wealth stems from its tin and rubber trade. In recent years, the island has enjoyed a flourishing tourism industry, making it Thailand’s wealthiest province. Its beautiful beaches and historical villages are major attractions. Cheap flights to Phuket are now available for a limited period of time, so get excited for Phuket’s island charm and breath-taking scenery! Phuket is home to Phuket International Airport (HKT), a 50-minute drive from the centre of town. The tropical beaches hug the coastline of Phuket, the crystalline waters beckoning to be explored. Grab your beach bats or sit back, relax and work on your golden tan. From chic restaurants to casual beach huts, you can enjoy the best in Thai flavours and spices. 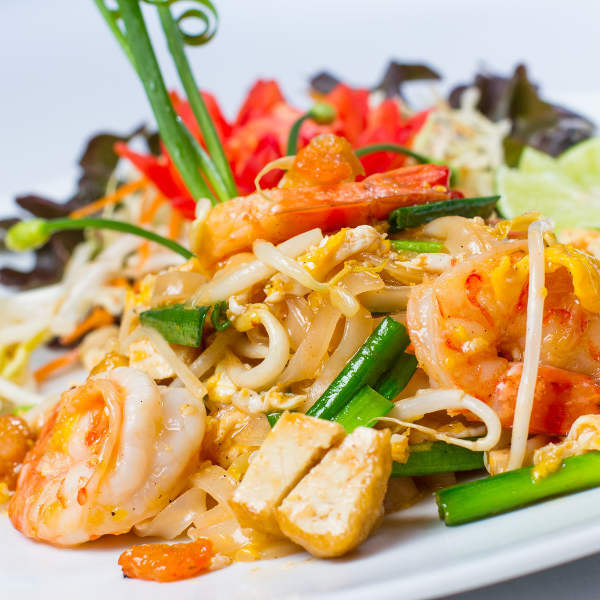 Traditional dishes like pad thai and tom yam goong will delight and inspire you! Sail off into the horizon to discover the surrounding bays and islands, dropping anchor to explore the colourful reefs and marine life. 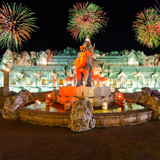 Wander through the historical Old Town and peruse the museums and Buddhist temples. 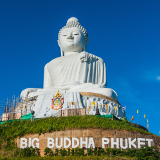 Choosing when to visit Phuket is largely dependent on your personal preference and budget. This island city experiences good weather all year round and is a highly sought-after tropical vacation. High season is between November and March, when many European and Australian tourists flock to the sandy white beaches of Phuket. During the summer, the beach towns have a vivacious nightlife, bustling marketplaces and sea conditions are optimal for diving and swimming. The downside is bustling crowds and high prices for flights, accommodation and shopping. The wet season in Phuket (April-October) is perfectly favourable for outdoor activities. Although the region does experience heavy rain showers, they usually last a short time and then clear up. The upside of travelling during this time is fewer crowds, less traffic and plenty of discounted offers on flights and accommodation. Phuket is a melting-pot of Thais, Malays and sea gypsies – each culture bringing its unique charm to the island’s hospitality, cuisine and entertainment. Think balmy summer days lazing on white sandy beaches, and luxurious massages overlooking the sparkling ocean, after a day of indulging in spectacular food and shopping. Phuket truly is an island paradise with its lofty coconut trees, turquoise lagoons, and romantic sunset spots overlooking the sprawling coastline. By day, wander through the Old Town, laden with historical buildings, temples and quaint shophouses. Visit Big Buddha and the intriguing museums along the way. Tour the Chalong Bay Rum Distillery or join a cooking class and experiment with the wonderful, aromatic flavours of Thailand. Hop on a long-tail boat and sail around the bays, marvelling at the floating villages set against picturesque lime-stone cliffs. Phang Nga Bay is home to over 40 islands and is perfect for adventurous scuba divers and snorkelers. 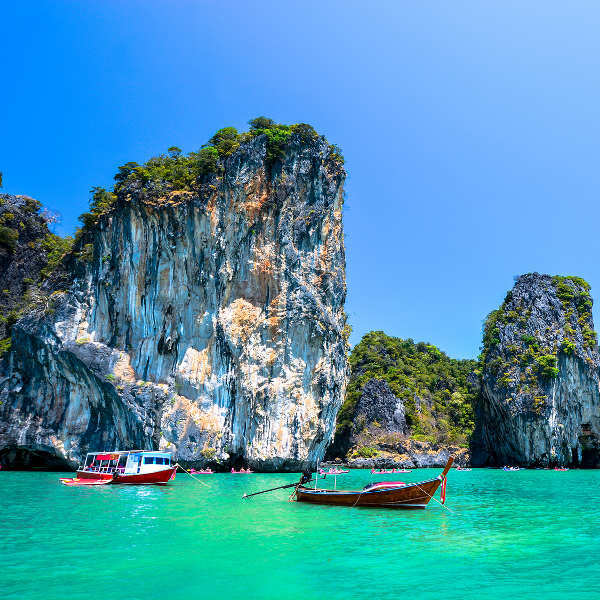 The famous Phi Phi Islands are just a stone’s throw away. Compare several airlines, and book your cheap flights to Phuket online at Travelstart! South African passport holders travelling to Thailand do not require a tourist visa. If you are entering via an international airport, you are allowed a stay of up to 30 days; if entering through a land border checkpoint, you are granted a stay of up to 15 days. Ensure your passport is valid for a minimum of 6 months after date of departure and that there are 2 blank pages available for stamps. Have a copy of proof of accommodation at your disposal. 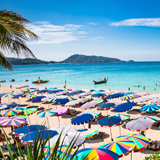 Due to the fact that Phuket has become such a popular vacation spot over the past couple of years, it is important for holidaymakers to remain vigilant. Pickpocketing is something that is experienced regularly, especially during the peak seasons in Phuket. The road from Patong to Karon is notorious for muggings so take extra precaution at night time. Do not wander into dark alleyways or attract unnecessary attention to yourself. Beware of fierce undercurrents and large waves during monsoon season. Drownings occur every year simply because tourists do not heed the red flag warning. Watch out for jet skis and long-tail boats when swimming. Should you choose to rent a motorbike or scooter, make sure you know the basics and always wear a helmet. There are no mandatory vaccinations, but travellers are advised to be immunized against Hepatitis A and Tetanus, due to possible contact with contaminated food and water. Be extra careful when eating street food - if it’s not properly cooked, don’t eat it. Only drink boiled or bottled water and avoid ice in drinks. Ladies, make sure you have tissues on hand as local toilets almost never have toilet paper. It is highly recommended to take out comprehensive medical insurance before leaving for Thailand. Phuket is popular for its resorts where you can expect to find a range of high-end offerings tailored for an all-inclusive stay in the prime areas of the island. Usually these resorts have a set of activities that will afford you the opportunity to see some of the most beautiful spots on the cluster of islands during your stay. The island also has a wide variety of luxury accommodation options for every budget, from fancy hotels to cosy guest houses. If you are looking for hotels in Phuket, you will find them scattered across the city. Patong is party central, where the streets are littered with bars, tailors, ping pong shows and yes…lady boys. Be prepared for chaotic beaches and noisy streets during peak season. Karon is described as “Patong’s little sister”, where the bars are a lot more chilled out and you can pick up some great souvenirs. Families opt for Kata, with its crystal-clear waters and good restaurants. Those looking to stay in a more relaxed, yet vibey part of Phuket should check out Rawai, Nai Yang or Bang Tao, where your options range from luxury boutique villas to Airbnbs. Whether you’re a bargain backpacker or pampered princess, Phuket has a myriad of accommodation options guaranteed to suit every taste and budget! 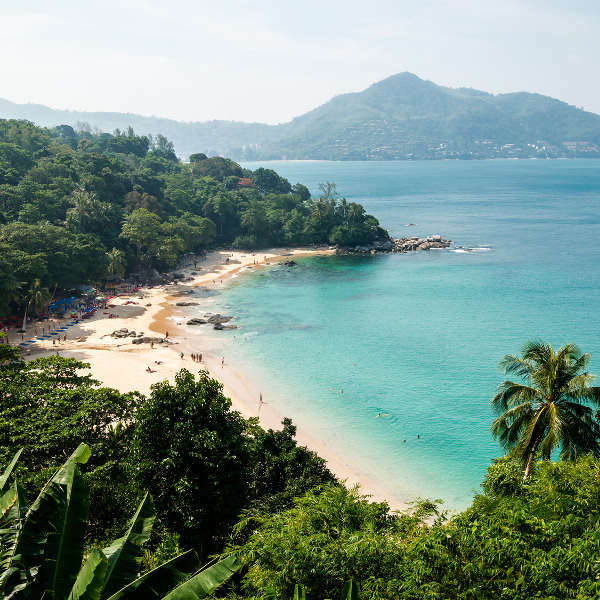 Phuket is an island city brimming with beauty and long stretches of white sand, so grab your hat and explore the beaches of Surin, Bang Tao, Rawai and Karon. One of the most visited places on this island is Patong, the largest beach resort in Phuket. Patong is known for its world-famous night life and its great beaches have many activities like scuba diving, snorkelling and jet skiing, along with some amazing restaurants and nightclubs on Bangla Road. Taxis and tuk-tuks are the common modes of transport. Make sure you agree on a fair price beforehand and that the driver knows where he’s going. The local buses are called songthaews and operate between bus stations, airports and beach towns. Do not let the bus driver drop you off somewhere along the road - most bus terminals are near market places. If you have pre-arranged accommodation, ask your hotel to arrange a pick-up service from the airport or bus station.